Retail is the sale of goods to end users, not for resale, but for use and consumption by the purchaser. Retail involves the sale of merchandise from a single point of purchase directly to a customer who intends to use that product. The single point of purchase could be a brick-and-mortar retail store, an Internet shopping website, a catalog, or even a mobile phone. The retail transaction is at the end of the chain. Manufacturers sell large quantities of products to retailers, and retailers attempt to sell those same quantities of products to consumers. Retailers are the final link in the supply chain between manufacturers and consumers. Retailing is important because it allows manufacturers to focus on producing goods without having to be distracted by the enormous amount of effort that it takes to interact with the end-user customers who want to purchase those goods. Retailers should make the purchase of goods easy for the consumer. That's why retail stores have salespeople, why Internet shopping websites have customer service instant chat popups, and why catalogs have descriptions, photos, and toll-free phone numbers. Retailing is about displaying products, describing the features and benefits of products, stocking products, processing payments and doing whatever it takes to get the right products at the right price to the right customers at the right time. 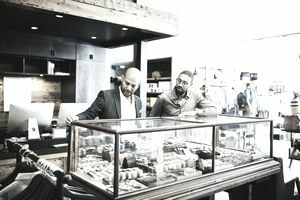 Some retailers offer additional services to the retail transaction like personal shopping consultations, and gift wrapping to add something extra to the retail customer experience and exceed the retail customer experience. What's the Difference Between Retail and Wholesale? Wholesalers sell in large bulk quantities, without worrying about many of the aspects of retailing that consumers expect like visual merchandising. Wholesalers do not want to deal with a large number of end-user customers. Rather, their goal is to sell large quantities to a small number of retailing companies. It is rare for a wholesaler to sell goods directly to consumers. The exception to that would be membership warehouse clubs like Costco, Sam's, and Bj's Wholesale. These members-only retail stores are a hybrid of wholesaling and retailing in that they sell directly to consumers, but they sell in large quantities, which often allows them to sell at prices that are lower than other retailers that sell in small quantities from impeccably merchandised stores in high-rent shopping districts. The big difference between wholesale and retail is in the price. The retail price is always more than the wholesale price. The reason for this is because the added cost of selling merchandise to end-user customers—labor, rent, advertising, etc.—is factored into the pricing of the merchandise. The wholesaler doesn’t have to deal with such expenses, which allows him to sell goods at a lower cost. How Does The Retail Supply Chain Work? The retail supply chain consists of manufacturers, wholesalers, retailers, and the consumer (end user). The wholesaler is directly connected to the manufacturer, while the retailer is connected to the wholesaler, and not to the manufacturer. Manufacturers: Produce the goods, using machines, raw materials, and labor. Wholesalers: Purchase finished goods from the manufacturers and sell those goods to retailers in large bulk quantities. Retailers: Sell the goods in small quantities to the end-user at a higher price, theoretically at the MSRP (Manufacturers Suggested Retail Price). Consumer: End-user who buys the goods (or “shops”) from the retailer for personal use. There are exceptions to this traditional supply chain, however. Some of the world's largest retail companies like Walmart, and Amazon.com, for example, are large enough to deal directly with manufacturers, without the need for a wholesaler in the middle of the transaction. What Are Different Types of Retail Stores? Here are some examples of the different types of retail stores where consumers can purchase products for immediate use or consumption. Department Stores: Sell a wide range of merchandise that is arranged by category into different sections of the physical retail space. Some department store categories include shoes, clothing, beauty products, jewelry, housewares, etc. Examples of department store retailers include Macy's, Nordstrom, and JCPenney, to name just a few. Grocery Stores and Supermarkets: Sell all types of food and beverage products, and sometimes also home products, clothing, and consumer electronics as well. Warehouse Retailers: Large no-frills warehouse-type facilities stocked with a large variety of products packaged in large quantities and sold at lower-than-retail prices. Specialty Retailers: Specialize in a specific category of products. Toys ‘R’ Us, Victoria's Secret, and Nike are examples of specialty retailers. Convenience Retailer: Usually part of a retail location which sells gasoline primarily, but also sells a limited range of grocery merchandise and auto care products at a premium "convenience" price from a brick-and-mortar store. Discount Retailer: Sell a wide variety of products are often private labeled or generic brands at below-retail prices. Discount retailers like Family Dollar, Dollar General, and Big Lots will often source closeout and discontinued merchandise at lower-than-wholesale prices and pass the savings onto their customers. Mobile Retailer: Uses a smartphone platform to process retail transactions and then ships the products that were purchased directly to the customer.